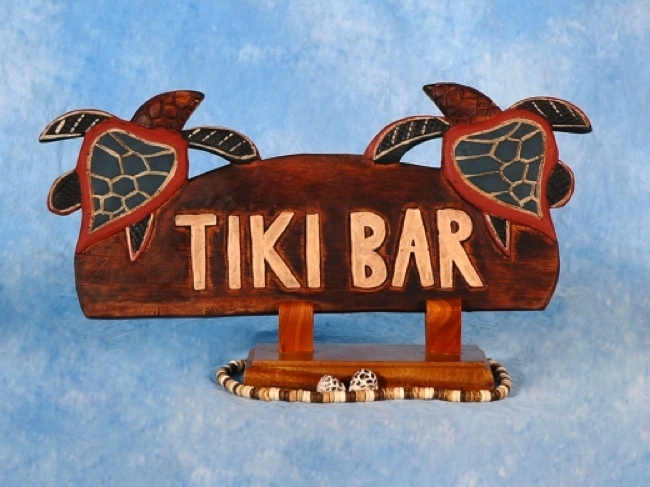 Here is a hand made wooden Tiki Bar sign featuring 2 hand carved Hawaiian turtles also known as Honu. This great piece of handicraft measures 12 inches long by 7.5 inches tall. Very Tropical and tiki bar decor. Perfect for your home decoration or your outdoor living area!